You are here: HomenextServicesnextEducationnextSchools of our CommunitynextLaindon High Road SchoolnextSchool Photo - Mr Gay's Class. School Photo - Mr Gay's Class. Laindon High Road School unknown year. 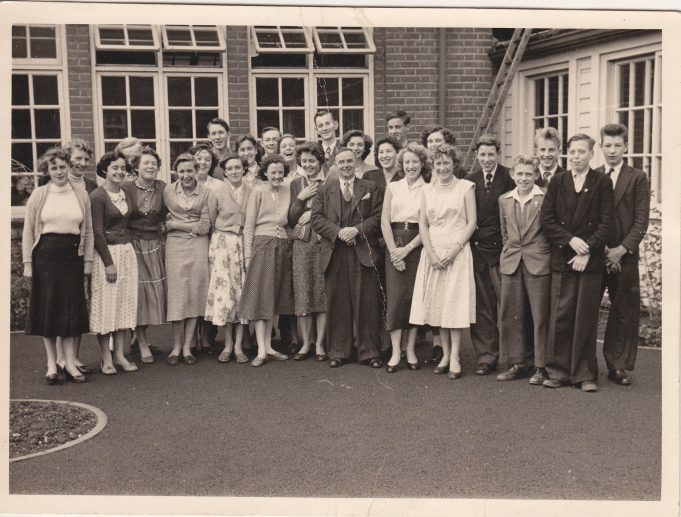 Can anybody put names to the faces in this photo taken in the quadrangle of Laindon High Road School (Mr Gay is the teacher). Also what year the photograph was taken please? Thank you. LHR School Sports Days 1960, 1962 and 1963.